Tail wagging trivia by Ryan O'Meara. 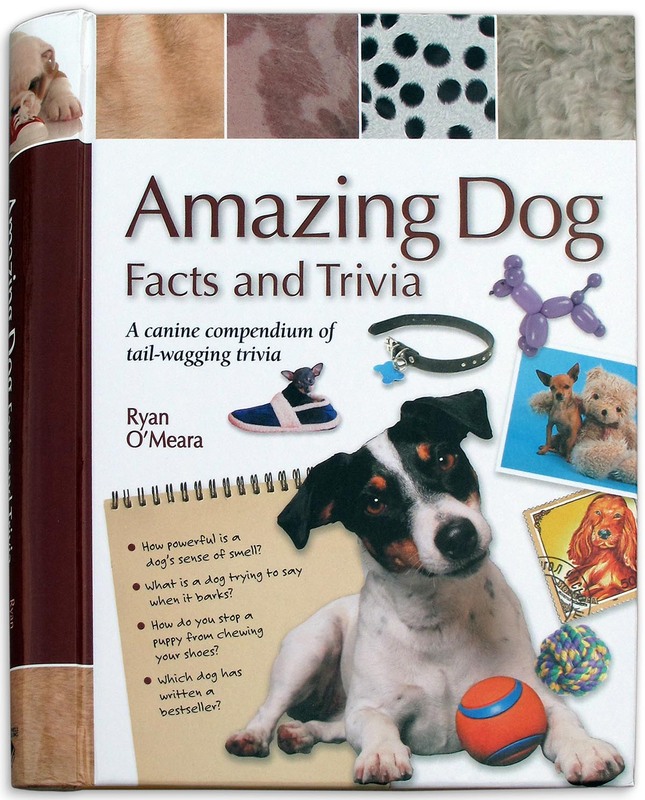 This is a fun, and interesting book that has all sorts of dog trivia that many lifelong dog lovers will discover that they did not know. And pictures - bazillions of color pictures showing all that stuff you didn't know that you didn't know! And it's written in such a way that folks of all levels of knowledge and experience will find it interesting. Not too elementary - not too technical. There are lots of great training tips, too. -The oldest dog ever was Bluey, an Austalian Cattle dog who lived to be 29? -The term "Dog Fancying" means breeding dogs for particular features and was coined in the 19th century. -The ancient Greeks believed that the sultry summer heat was caused by Sirius, the dog star, hence the term "dog days".